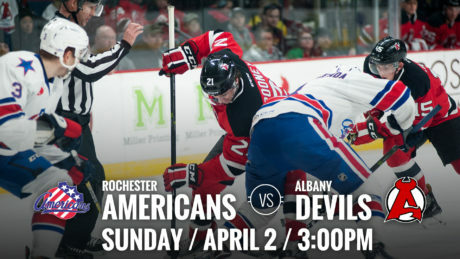 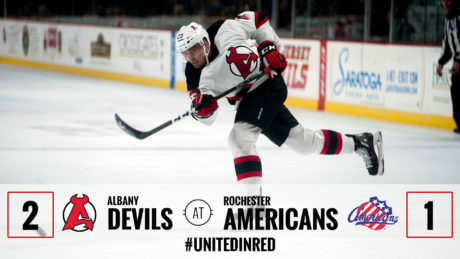 The Devils host the Amerks Sunday for a 3 pm puck drop. 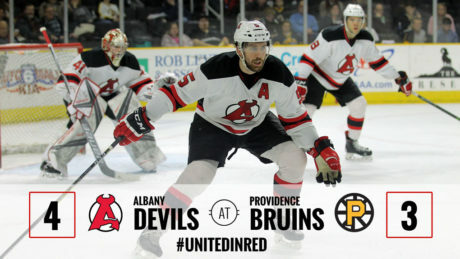 Pietila netted two goals and Quenneville picked up three assists in the Devils 4-3 victory over the Bruins Friday. 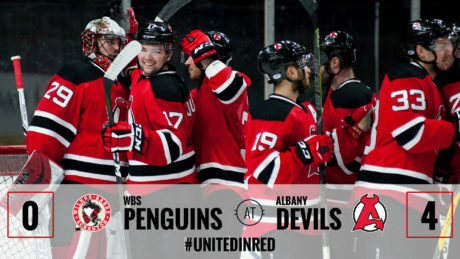 The Devils defeated the Penguins 4-0 behind Blackwood’s first career shutout, and first Devils’ shutout of the season Friday. 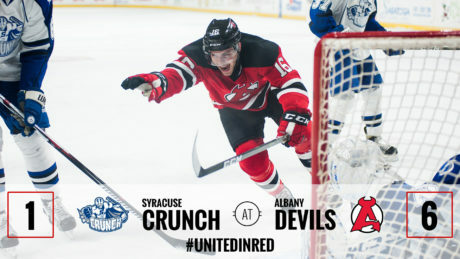 Sexton, Coleman, Gibbons and Quenneville each registered a goal and an assist in the Devils 6-1 victory over the Crunch Wednesday. 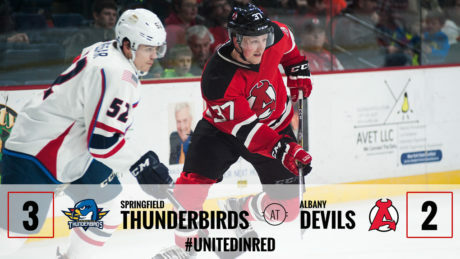 The Devils and Thunderbirds required overtime for the second straight game, as the Thunderbirds came away with a 3-2 win Friday. 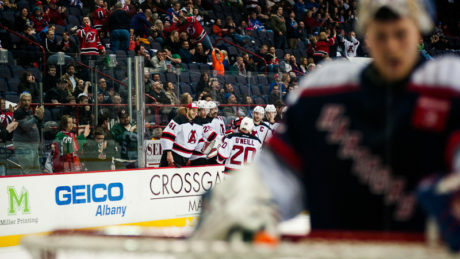 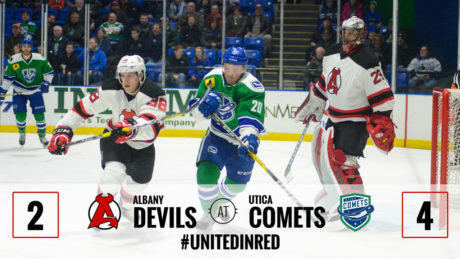 The Devils’ four-game win streak was halted when they fell to the Utica Comets 4-2. 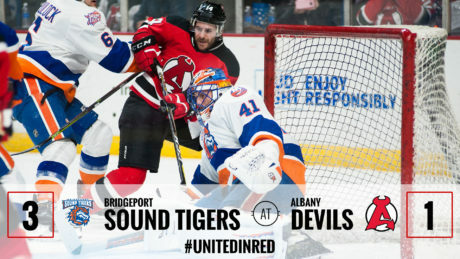 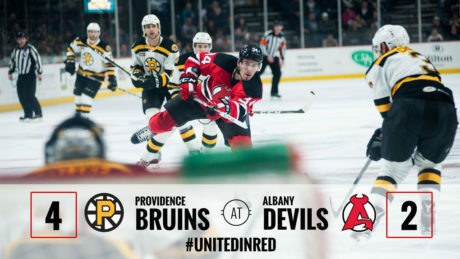 Max Novak and Brian Gibbons both scored, but the Devils suffered a 4-2 loss against the Bruins Monday at Times Union Center. 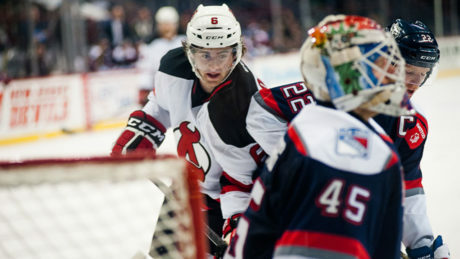 The Devils have signed Jan Mandat, Max Novak and Kevin Rooney to AHL contracts. 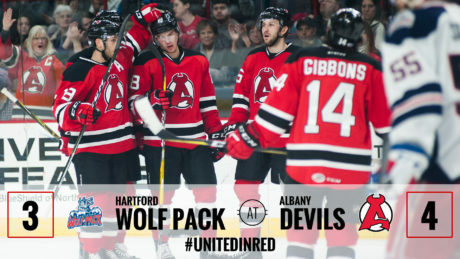 Three thoughts from Tuesday’s 3-0 win against the Wolf Pack.